From the bestselling author of The Dovekeepers comes a spectacularly imaginative and moving new novel in the vein of The Night Circus that has been acclaimed by Jodi Picoult as 'truly stunning: part love story, part mystery, part history, and all beauy'. New York City, 1911. Meet Coralie Sardie, circus girl, web-fingered mermaid, shy only daughter of Professor Sardie and raised in the bizarre surroundings of his Museum of Extraordinary Things. And meet Eddie Cohen, a handsome young immigrant who has run away from his painful past and his Orthodox family to become a photographer, documenting life on the teeming city streets. One night by the freezing waters of the Hudson River, Coralie stumbles across Eddie, who has become enmeshed in the case of a missing girl, and the fates of these two hopeful outcasts collide as they search for truth, beauty, love and freedom in tumultuous times. 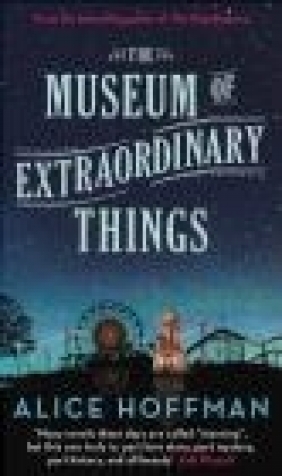 "The Museum of Extraordinary Things is the mesmerizing new novel about the electric and impassioned love between two vastly different souls in New York during the volatile first decades of the twentieth century." --Ann McDonald "Red Carpet Crash "